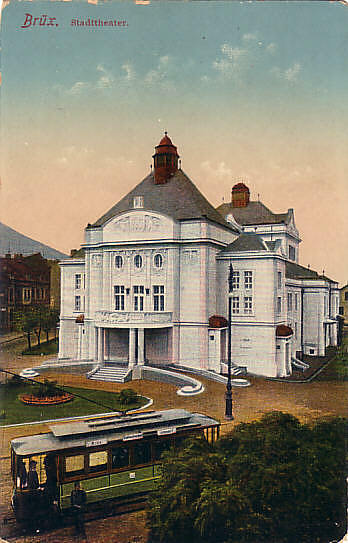 Built 1910 as "Stadttheater" for the city of Brüx by Graf. 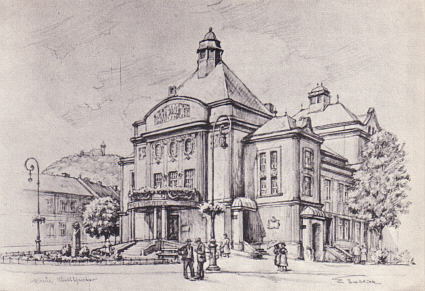 750 seats. 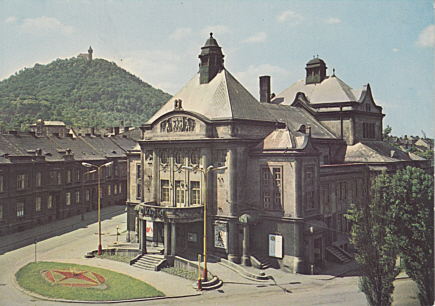 Demolished in 1982 during of the demolition of the complete old town of Most in favour of lignite mining. 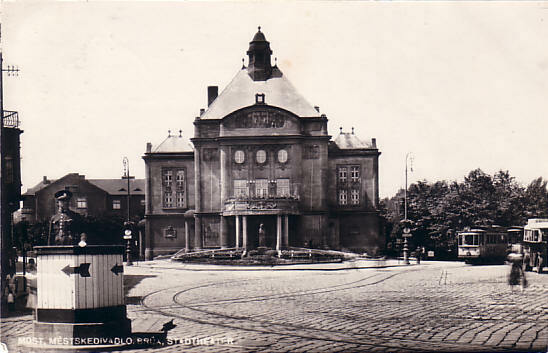 Front Text: "Brüx - Stadttheater"
Front Text: "Most, Mestské divadlo - Brüx, Stadttheater"; inscription: "Stadttheater"
Front Text: "Brüx, Stadttheater"; signed: "E. Hablick"
Reverse Text: "E. Hablick: Brüx, Stadttheater"